The service is initially being offered to Uber's "most loyal" customers in the city as part of the Uber X service, the company said in a blog post that was short on technical details. The Ford Focus cars being used in the trial will have a human in the driver's seat -- someone who should be ready to take over from the computer should it encounter a situation it cannot safely deal with. That's not only a prudent technical move but also the law. No U.S. states have legalized self-driving cars without human drivers or steering wheels. 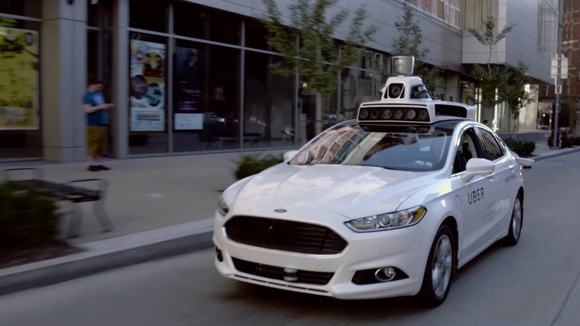 An Uber autonomous car prototype in Pittsburgh. Uber's self-driving prototype is distinctive for the large array of sensors on the roof. At the very top is a spinning LIDAR (light detection and ranging) laser imaging sensor, which bounces laser light off everything in its sight to build a 360-degree model of the surroundings. Similar LIDAR sensors are used on Google's self-driving prototypes and those from other car makers. But it's underneath that where Uber's prototype differs. There are banks of cameras facing forward, to each side, and to the rear as well as additional, smaller LIDAR sensors pointing off to the sides. 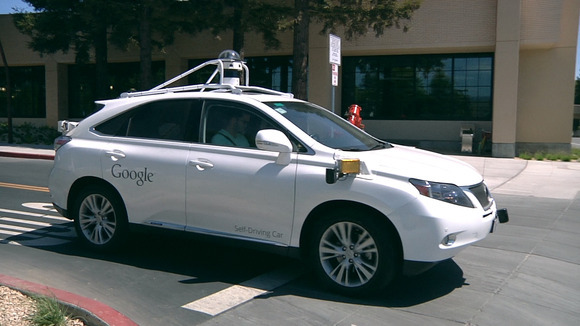 The same cameras are missing on Google cars that have roof-mounted LIDAR sensors. A Google self-driving car navigates streets near the company's headquarters in Mountain View, California, on June 29, 2015. The extra gear on Uber's cars is there to supplement the LIDAR view of the near and far field. The forward facing cameras watch for things like braking vehicles, pedestrians, traffic lights, and signs, the company said. 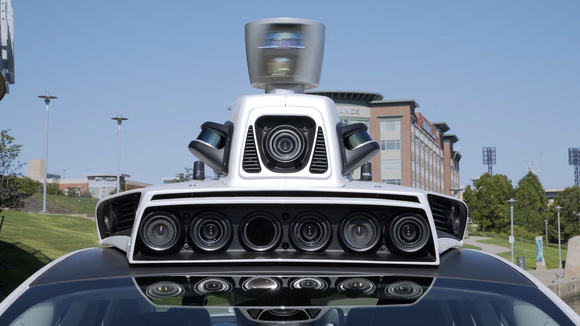 The side-facing cameras work in stereo pairs for a 3D view of the vehicle's surroundings, and the rear and wing-mounted LIDAR units help detect nearby obstacles that might otherwise be in blindspots. 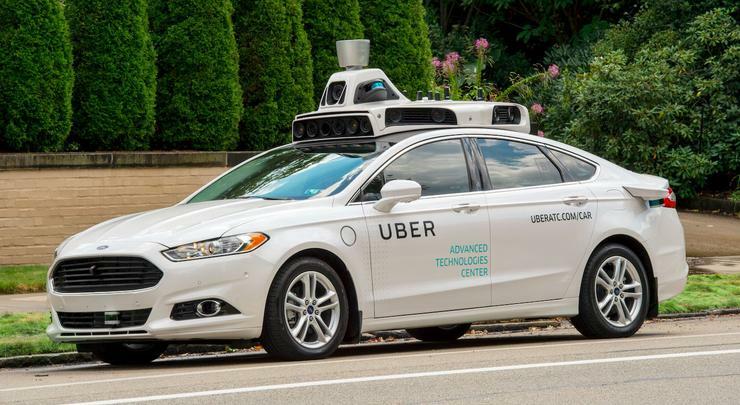 Uber's self-driving car research is taking place in Pittsburgh with Carnegie Mellon University. The two forged a partnership in 2015 that saw Uber build its Advanced Technology Center near the CMU campus. CMU faculty, staff, and students are playing an active role in the development of the technologies.